Obesity can be a struggle everyday, especially when lifestyle changes aren’t enough. The Middlesex Health Center for Weight Loss Surgery stands with you, and our priority is to help you achieve your weight loss goals. Our program offers more than just surgery: we take a comprehensive approach to weight management through education, surgery when appropriate, and long-term follow-up. Each and every patient works closely with their care team, because weight loss is most successful and sustainable when patients are fully engaged in their care. Making the Decision: Is Weight Loss Surgery Right for Me? For many people, a combination of changes in eating habits, behavior modification, and physical activity is the best approach to weight loss. However, if you continue to experience severe or morbid obesity after trying non-surgical approaches, or if you have an obesity-related illness, weight loss surgery - also called bariatric surgery - may be appropriate. Are there medical criteria I have to meet to qualify for weight loss surgery? If I meet the medical criteria, how do I know if weight loss surgery is right for me? What are the risks and benefits of weight loss surgery? There are also risks that come with weight loss procedures. After surgery, your body takes in fewer nutrients. Patients who undergo weight loss surgery are making a lifelong commitment to follow dietary guidelines and take supplements. It is important to speak to your physician about all of the possible benefits and risks. You can also learn more in our online Integrated Learning Center. 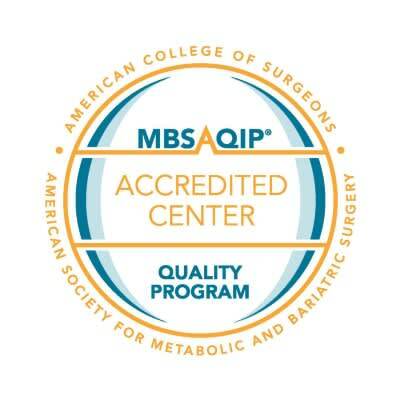 Our Center for Weight Loss Surgery is accredited by the Metabolic and Bariatric Surgery Accreditation and Quality Improvement Program. This designation recognizes our clinical excellence, as well as our multidisciplinary approach to weight management and commitment to our patients' long term weight loss success. At the Middlesex Health Center for Weight Loss Surgery, your care team will include an expert surgeon and several nurses and other supportive care professionals.